The four-year HKBU Undergraduate Programme normally requires students to complete a total of 128 units. The HKBU AD Programme is a 62-unit programme which requires two years of full-time studies. The curriculum is equivalent to the ﬁrst two years of an undergraduate programme. Please click here to know more. After completing the AD Programme, students are eligible to take the "2+2" study path articulation to the last two years of a UG Programme. There are currently 11 UG Honours Degree Programmes jointly run by HKBU Faculties/Schools and CIE. 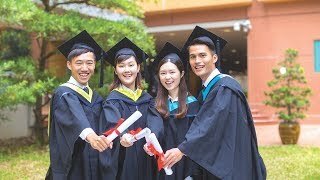 Under the same quality assurance mechanism, HKBU AD graduates could articulate to UG Programmes seamlessly without taking any programme pre-requisites. CIE offers multiple Concentration Studies across major disciplines such as Applied Science, Arts and Languages, Business, Communication, and Social Sciences. The wide range of choices in our curriculum caters to different interests, talents and aspirations of our students. 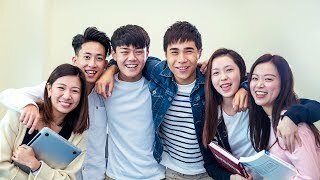 Small class teaching, continuous assessments, English language proficiency training, experiential learning opportunities, together with a learner-centre and twin campuses environment all help to provide students with an intellectually stimulating experience. The College provides quality campus facilities and amenities for its students at the twin campuses in Kowloon Tong and Shek Mun (Shatin). Students will be attending in one of the University campuses depending on the curriculum they have chosen, but they can still enjoy the facilities provided on both campuses in their pursuits of whole person development. Please click here to learn more about our twin campuses facilities or transportation guide.